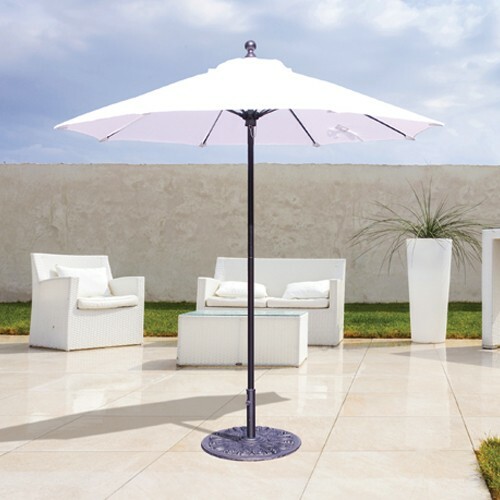 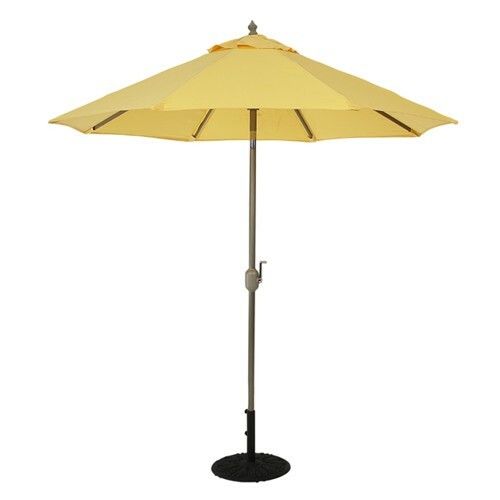 7 foot aluminum patio umbrellas are small patio umbrellas in market umbrella styling and are perfect for smaller shading areas such as bistro tables, apartment balconies, or sidewalk cafe's. 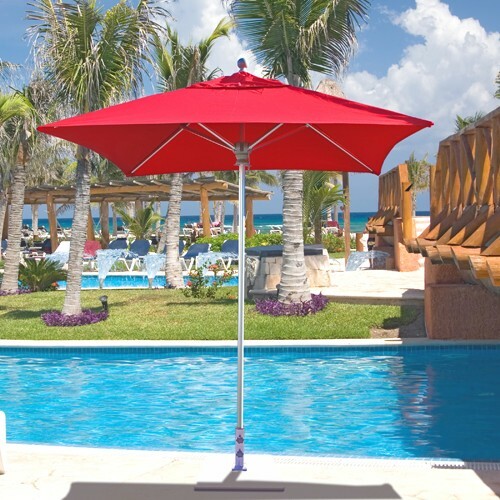 Aluminum is a great material for durability and the rigors of outdoor lifestyles. 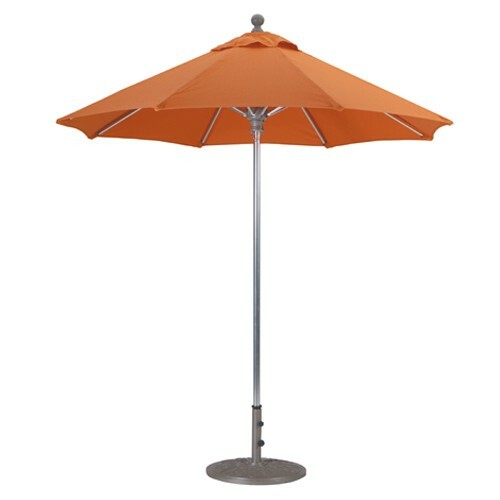 Our 7 foot market umbrellas come in Sunbrella fabrics, and our 7 1/2 foot aluminum garden patio umbrellas feature outdoor olefins and vinyl covers.